This natural formula combines organic Lion’s Mane mushroom extract with BioPQQ™. Lion’s Mane has been used in Japan for thousands of years because of its neuroregenerative properties and role in enhancing cognition. Contains 60 capsules. This natural formula combines Organic Lion’s Mane mushroom extract with BioPQQ™. 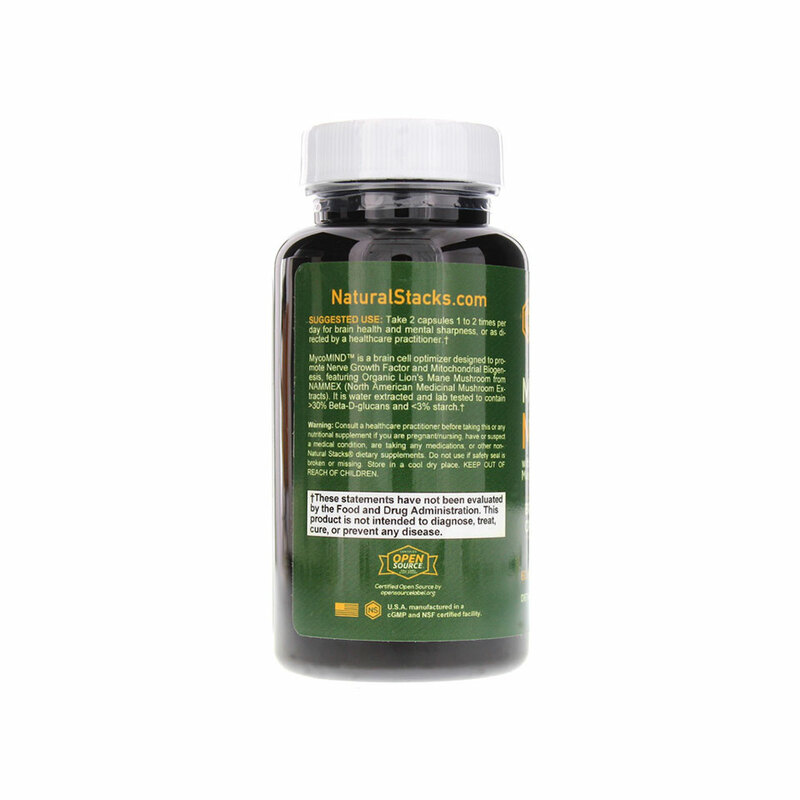 Lion’s Mane is a nootropic mushroom that has been used in Japan for thousands of years because of its neuroregenerative properties and role in enhancing cognition. Lion’s Mane mushroom contains hericenones and erinacines. 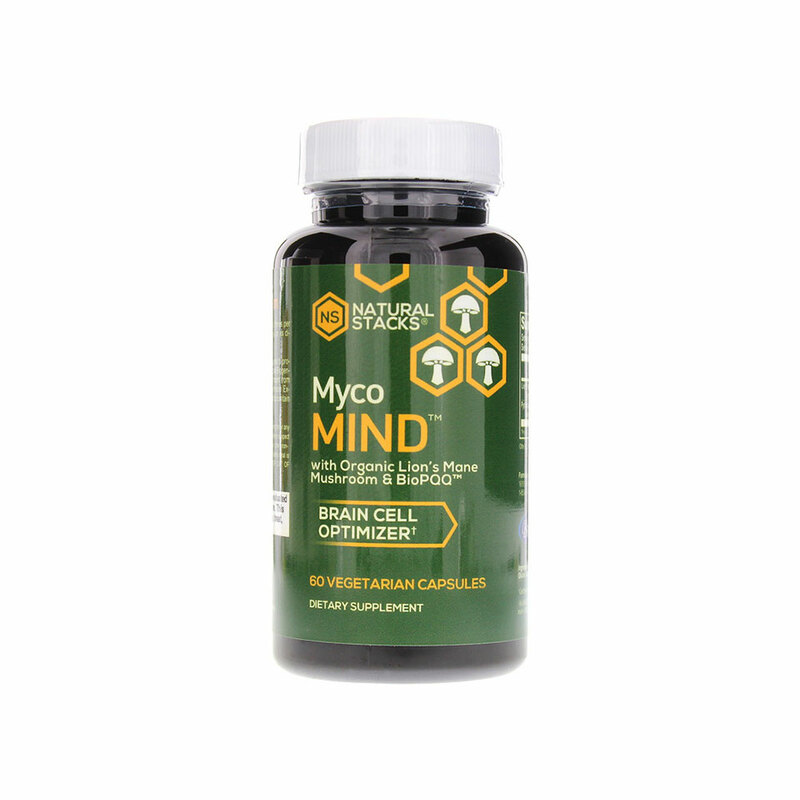 MycoMIND™ features organic lion’s mane mushroom extract from NAMMEX (North American Medicinal Mushroom Extracts). It is water extracted and lab tested to contain >30% Beta-D-glucans and <3% starch. PQQ (Pyrroloquinoline quinone), is a coenzyme that is involved in many of the body’s natural metabolic processes. 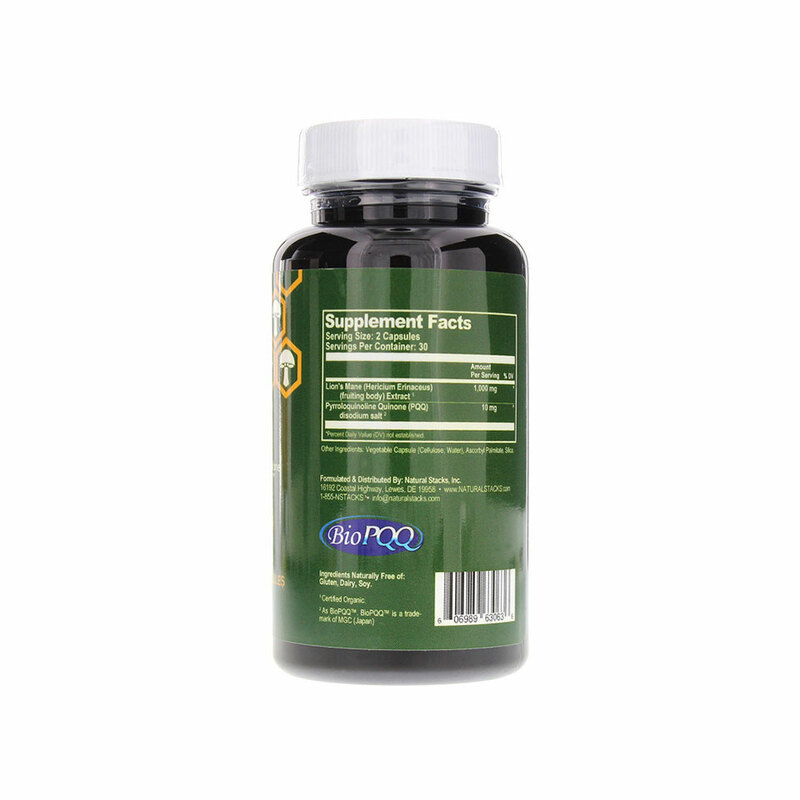 BioPQQ™ is the purest and most potent source of PQQ, a polyphenol that is an exceptional antioxidant. BioPQQ™ is a trademark of MGC (Japan). MycoMIND is a dietary supplement that falls within the category of herbs. Take 2 capsules 1 to 2 times per day, or as directed by a healthcare practitioner. Other ingredients: Vegetable capsule (Cellulose , Water), Ascorbyl Palmitate, Silica. Ingredients Naturally Free of: Gluten, Dairy, Soy. I Take This As A Weekend Stack & It Seems To Work Very Well.. And With A Stack That Promotes NGF (Nerve Growth Factor) How Can You Go Wrong? 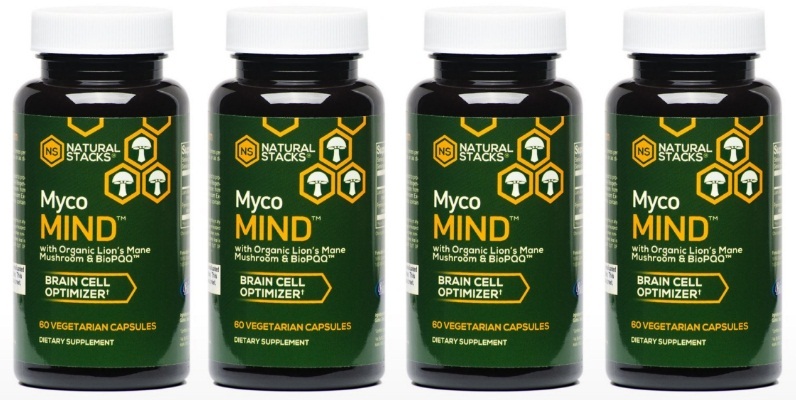 A Wonderful Addition To The Natural Stacks Product Line! This stuff gave me an extra pep in my step the first day I used it. As someone who has always been addicted to coffee, I recently switched to CILTEP + Myco Mind and have been extremely focused when working on things that in the past caused me ADD (Like coding). Thanks Natural Stacks! This product makes my life easier ..highly recommended!! !